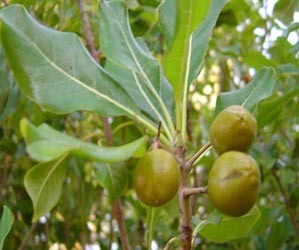 Small to medium tree with glossy green leaves, only found in dune valleys near Jame’s Price Point north of Broome. 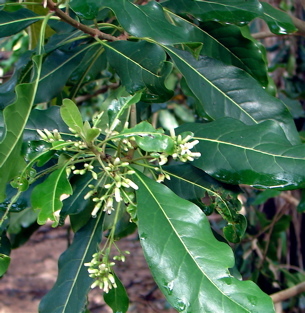 Feature clusters of white scented flowers and orange fruits containing black sticky seeds. 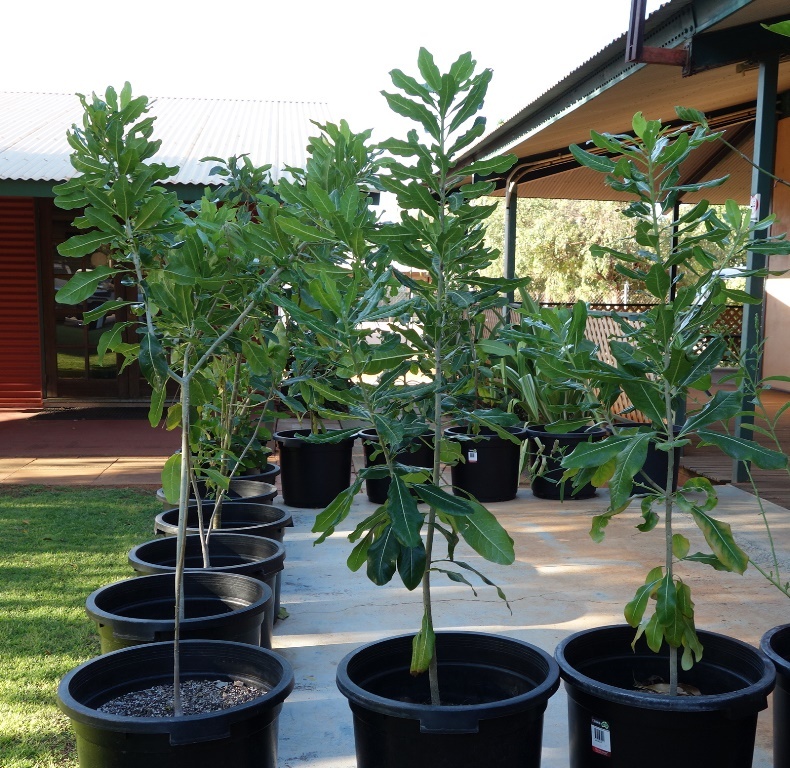 Information resources for the plant Pittosporum moluccanum. Links to online information resources about identification, issues and management. 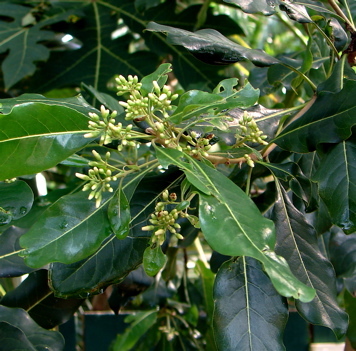 This entry was posted in Pittosporum and tagged Pittosporum moluccanum. Bookmark the permalink.